I couldn’t decide how to describe this pie. I knew it was a little unorthodox, a little nonconformist and somewhat unconventional by American standards of what defines an apple pie. My inspiration for this reconfigured apple pie comes from François Payard, one of my all-time favorite pastry chefs, who I once took a plated dessert class with at the French Pastry School in Chicago. It was the part that says “a French version of apple pie” that caught my eye. I imagined what that might look like and it was nothing like Poussot’s beautiful and very French-looking tart with the honey-glazed top: my vision was to use his concept of combining financier batter and a cooked apple filling and to make it look American—as American as Apple Pie. 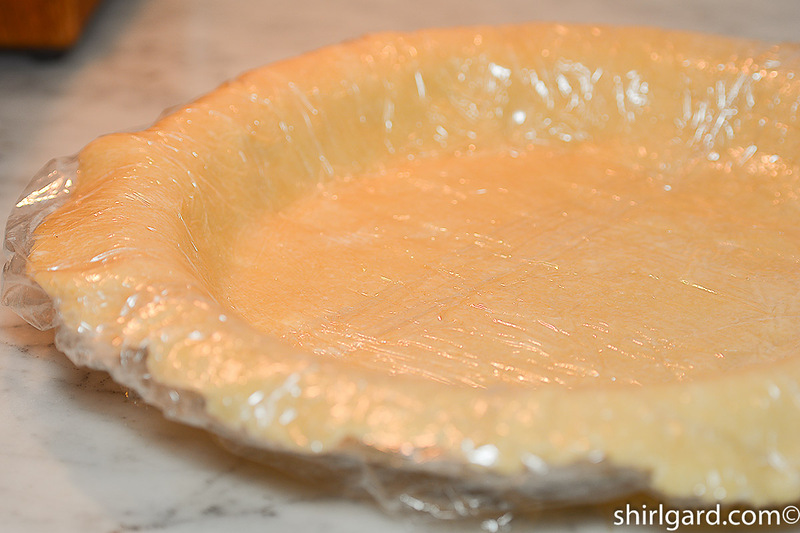 Cover the dough with plastic wrap & roll the Pie Dough Express to a 13″ diameter round. 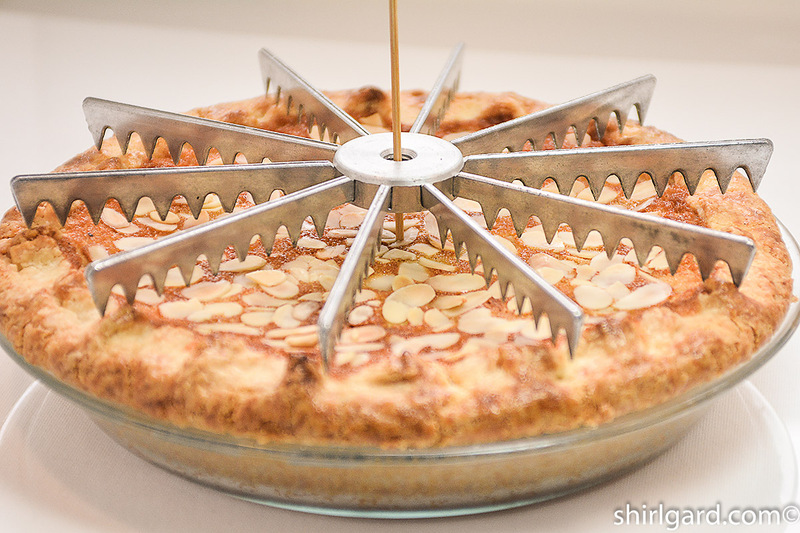 Fill a 9″ glass pie plate with the cold dough and allow the dough to hang over the edges. Spread half of the Financier Batter in the bottom of the pie shell. Spread the Chunky Apple Filling over the Financier Batter. 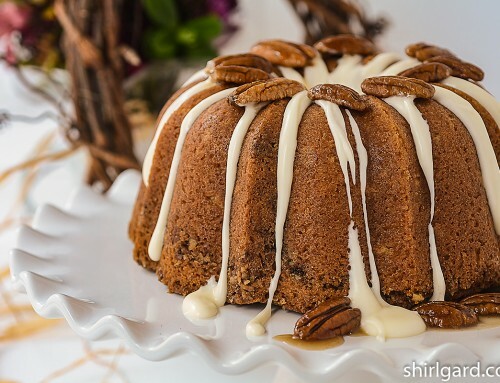 Place dollops of the second portion of Financier Batter over the apple filling. Spread the Financier Batter gently over the apples. 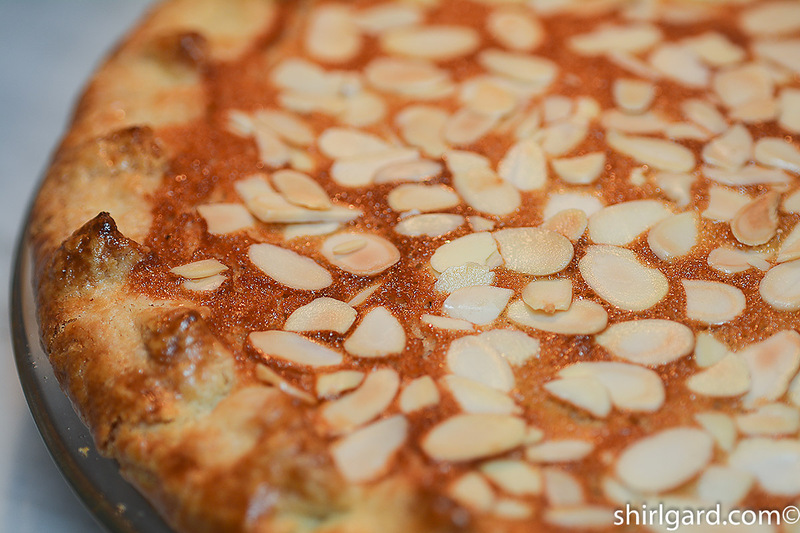 Sprinkle the top with sliced blanched almonds. 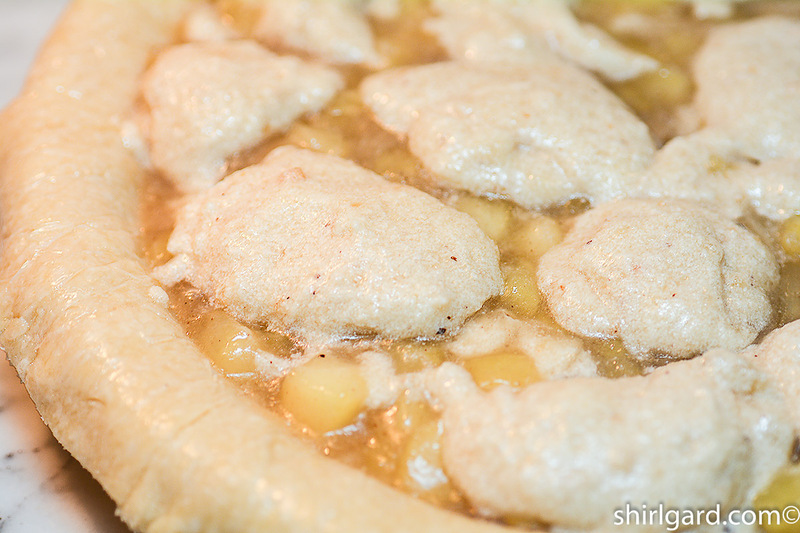 Instead of crimping the pie dough, fold the overhanging dough inward over the filling. Push the ruffled edge of the dough inside the rim of the pie plate and glaze with Egg Wash.
Bake the pie until the top and the crust are both golden brown. A 10-piece cake marker makes it easy to mark for cutting even slices. I like this pie cut into 10 wedges. French Apple Pie Ready to Serve. 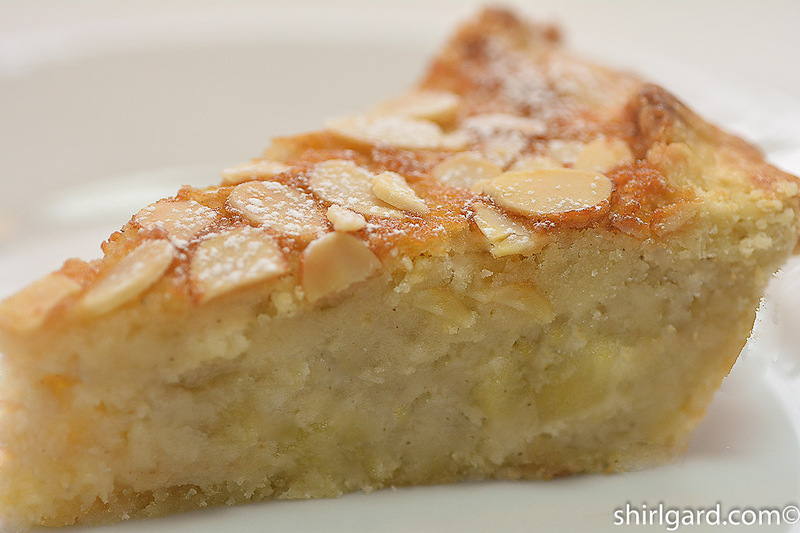 This re-imagined Apple Pie was inspired by a François Payard tart called "Apple Financier Tart". It is composed of layers of financier batter and a chunky apple filling and is very French-looking with its honey glazed top. French Apple Pie is my recipe for an American version of these same components, delicious and different, but not your Mom's apple pie. 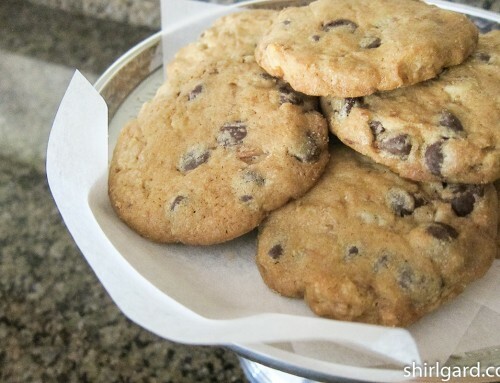 - One recipe yields 775g (1# 11 oz). You will have a little bit of filling left. 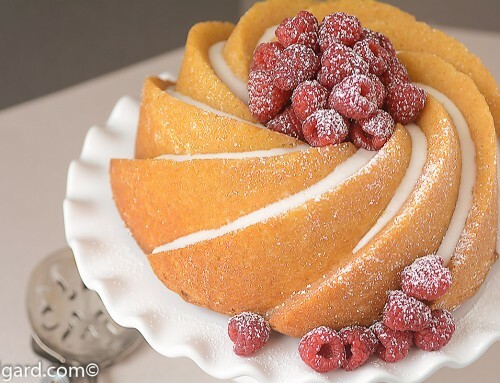 MAKE FINANCIER BATTER according to the recipe and refrigerate. Can be refrigerated for up to two weeks. COOK OR BAKE CHUNKY APPLE FILLING according to the recipe and cool. Can be refrigerated for up to one week. PREP PIE DOUGH EXPRESS and fill 9" pie plate with the rolled-out dough according to the recipe, leaving the dough overhanging by 1" all around. Do not blind-bake; the crust will be baked with the filling. The pie shell can be made ahead and refrigerated for two days or frozen for longer. 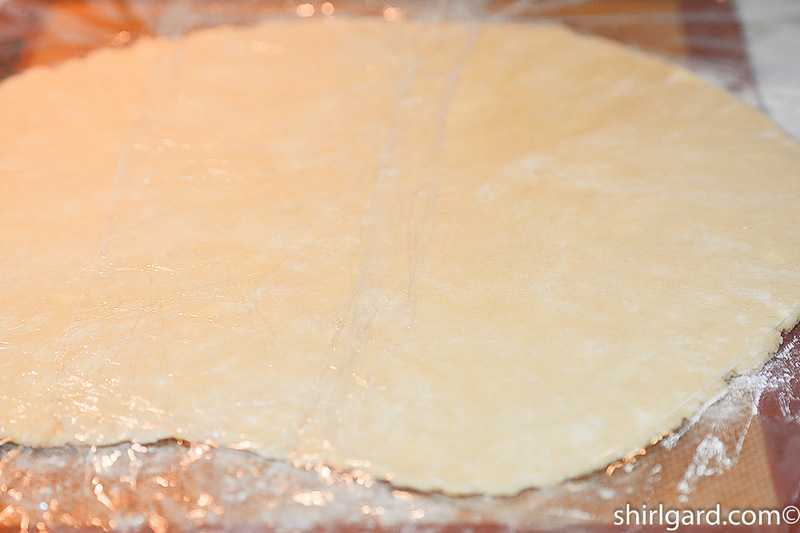 Wrap in plastic wrap or place in large plastic bag to prevent the dough from drying out. ASSEMBLE PIE: Spread 285g (10 oz) Financier Batter in the bottom of the unbaked pie shell. Spread 630g (1# 6 oz) Chunky Apple Filling over the Financier Batter. Spread the second portion of 285g (10 oz) Financier Batter over the apples. Smooth top with small offset spatula. 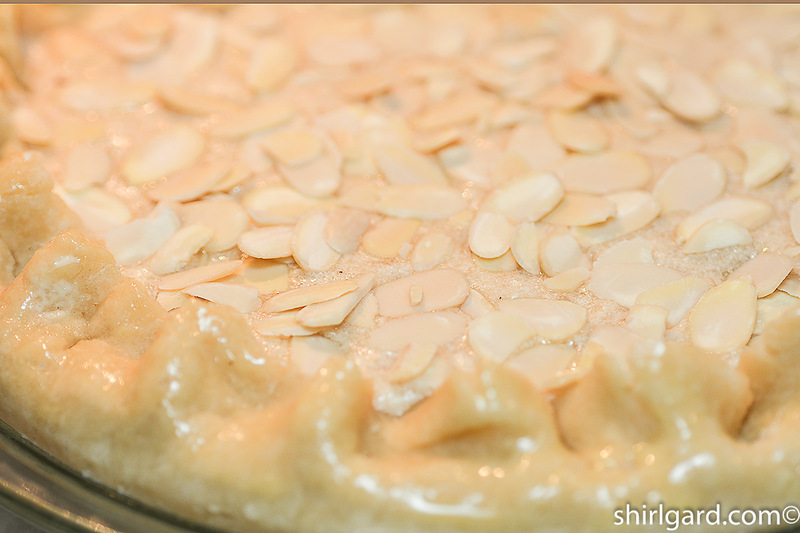 SCATTER sliced almonds over the top of the filling. 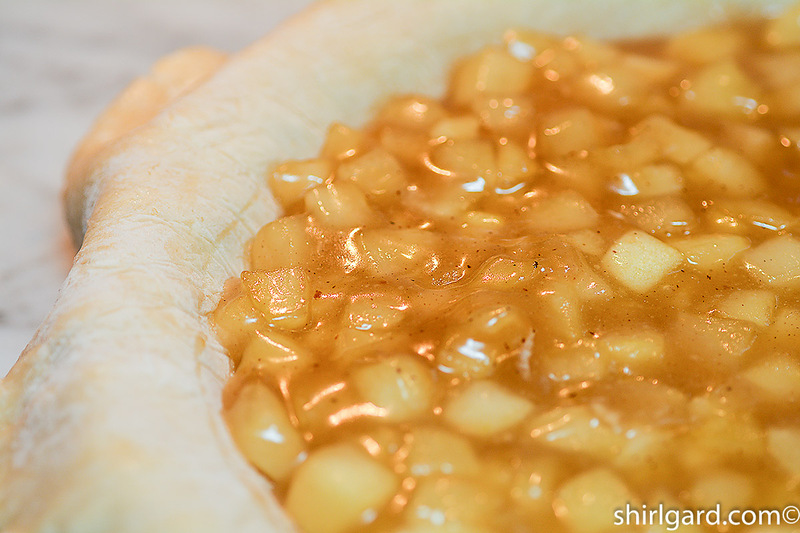 FOLD the overhanging pie dough over the filling and towards the center of the pie, ruffled neatly. 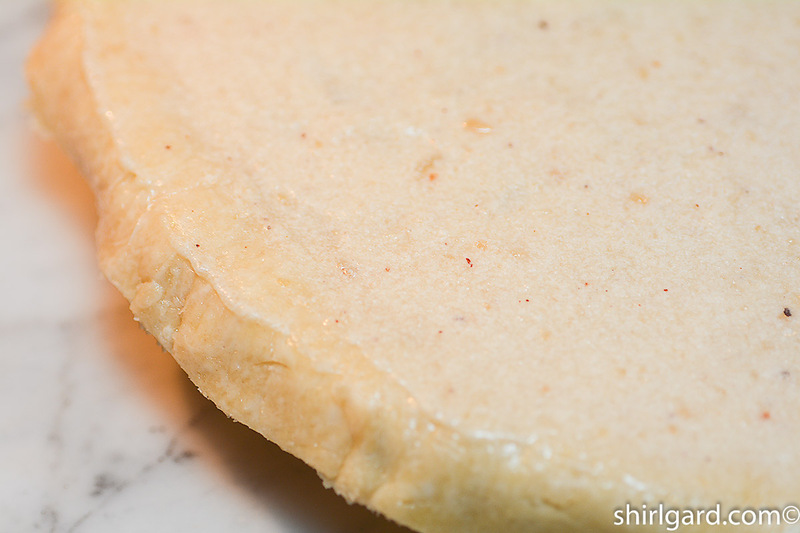 Push the dough inside the rim of the pie plate; no dough should be on the rim. 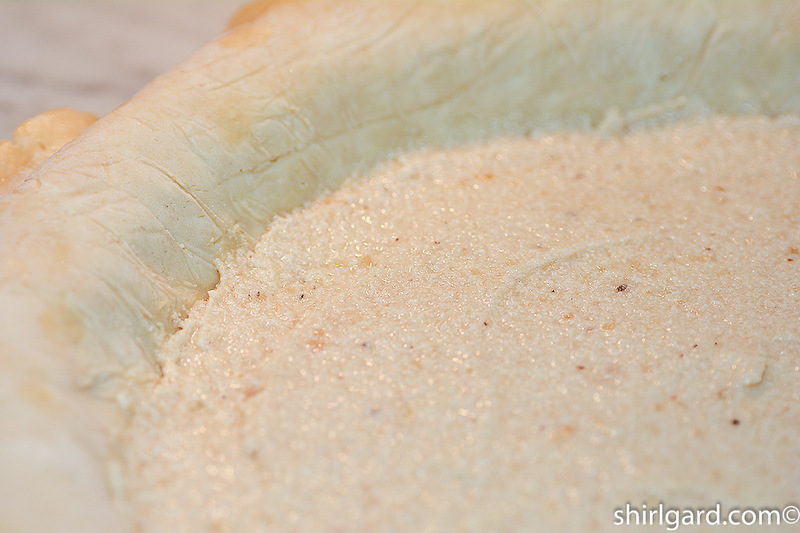 BRUSH egg wash on the crust, being careful not to let it drip between the crust and the pie plate. 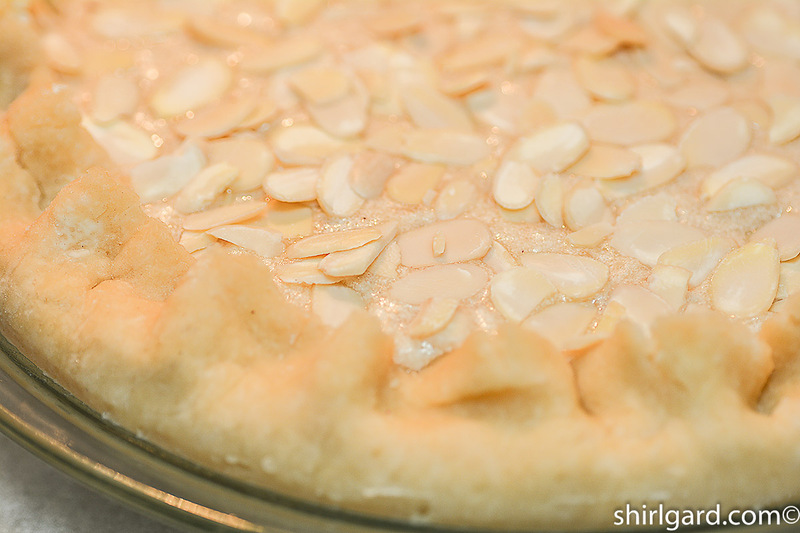 CHILL the pie 30 minutes in refrigerator before baking until the crust feels firm, or freeze for 15 minutes. PRE-HEAT OVEN to 400° F (204° C). PLACE the pie on a parchment-lined quarter or half sheet pan. BAKE about 50 minutes until the top of the pie and the crust are golden brown, rotating the pie half way through baking. Cover loosely with aluminum foil during the last 10-15 minutes if the pie is starting to over-brown. 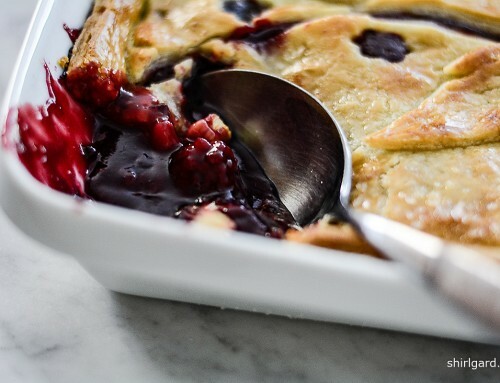 COOL the pie to room temperature. CUT into 8 or 10 wedges. A pie cut at room temperature will be a little ragged and rustic. If you want clean sharp edges on the slices, refrigerate the pie and cut while cold. SERVE cold, at room temperature, or warm, depending on your preference. I like it warmed up a little and served with ice cream. 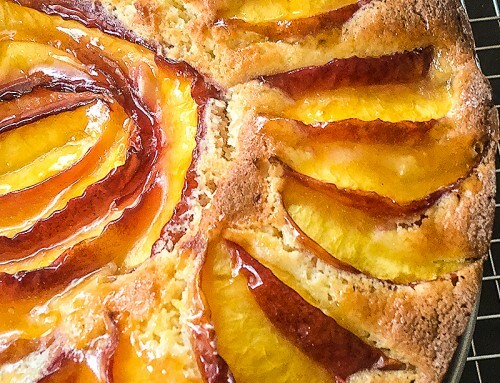 This pie recipe was inspired by François Payard's "Apple Financier Tart" recipe in his book "Simply Sensational Desserts: 140 Recipes for the Home Baker" (1999). 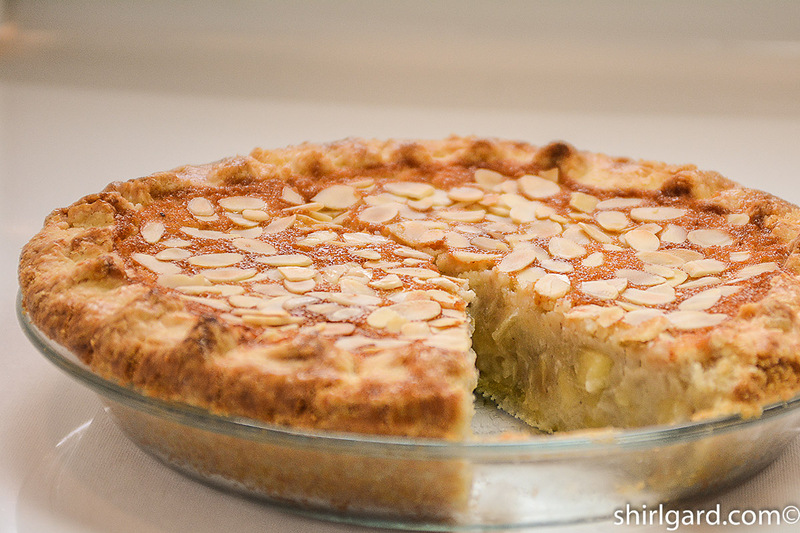 In his introduction to this dessert, he refers to it as "a French version of apple pie" I only imagined what that might look like and came up with an American version of French Apple Pie. The actual recipes for this pie are my own.